Read the original post 10 Best Pregnancy Pillows For You To Rest Comfortably on BabyDotDot - Baby Guide For Awesome Parents & More. Pregnancy is a miraculous event for all women. Nine months of expectancy can be physically taxing for a mom-to-be entering into the later months. The long stretch is not easy and comes with a lot of discomforts. As the body gains extra weight, the load gets heavier. No wonder even the best pregnancy pillow is not only a must-have but a welcome relief for the female on the family way. Why is pregnancy pillow a need? By the second half of gestation, when the baby bump gets really heavy, you will experience uneasiness because of back pains. What are the causes of back pains even in a healthy pregnancy? A woman gains an average of about 25 to 35 pounds during pregnancy. The weight gain puts pressure on the spine. The extra pounds will cause lower back pain initially and will intensify or extend to other areas in the body as the pregnancy progresses. The female posture is affected as the baby grows inside the womb. Positioning the frame is necessary to minimize the pain and discomfort. Routine activities like sleeping, bending, stretching and driving would be difficult to perform. Lifting heavy objects, in particular, should be avoided. Aside from the physical changes, a vital pregnancy hormone works inside the body to counter the aches and pains. The hormone called relaxin serves a specific purpose. It relaxes the ligaments in the pelvic area and loosens the joints. The hormonal changes are part of and in preparation for the childbirth process. Also, the increased production of hormones like estrogen and progesterone affects the sense of smell, induce nausea and cause fatigue. Two parallel sheets of muscles, running from the rib cage to the pubic bone, are bound to separate from the central seam which could aggravate back pain. Pregnant women need to find solutions to deal with sleep problems. Apart from back pains, leg cramps, and other body aches, finding sleep and the much needed hours of rest is a big hurdle for the expectant mother. One of the greatest products that bring satisfying comfort and lead to precious sleep is the maternity pillow. You may think it is not helpful, but it does a lot of wonders. This specially made pillow will relieve pressure on the spine, back, hips and legs and aligns the spine, shoulder, and hip. Women can relax and achieve the adequate hours of deep sleep. Using one of the best pregnancy pillows featured below will also assist the unborn baby to reach the best birth position. Plenty of time is lost with the constant tossing and turning trying to find the suitable sleep position. Eliminate the worry and choose from the various shapes and sizes depending on your body frame. Apart from finding your preferred sleeping position, the intensity of back pains and other body aches are reduced while you extend sleeping hours. 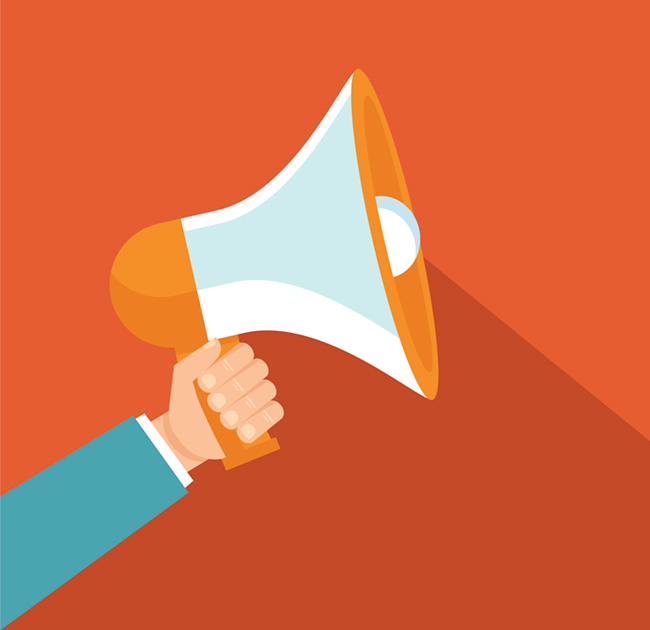 The numerous brands available in the market today are a clear indication the demand for the product is extremely high. Take a look at our pregnancy body pillow reviews and take your pick of the best ones around. This top pick boasts of providing the perfect solution for pregnancy discomfort and for very good reasons. This wedge-designed cushion is a ‘miracle find’ as it actually relieves back pain, hip pain, and tummy pain. The dual layer technology is the best because it gives comfort during all 3 trimesters of pregnancy. The two-sided design, a softer foam layer on one side and a firmer layer on the other, lends so much flexibility for you to adjust according to necessity. Besides the remarkable versatility, the pillow is compact and can be brought anywhere. The next in line comes in C-shape comfort. Since this is a full-body pillow, it works best to relieve spine, shoulder, back, hips, and leg pains with your whole frame settled in a nest-like support. Aside from pregnant women, anyone looking for sleep quality can make use of this amazing find. This is ideal too for nursing and recovering from an injury. No need for multiple pillows anymore. The polyfill material inside is adjustable to suit your desired position and intention: sleeping, nursing, reading, watching TV among other activities. Made from 100% polyester fiberfill material, this unique and ergonomically designed pillow follows the bodily shape of the mom-to-be. 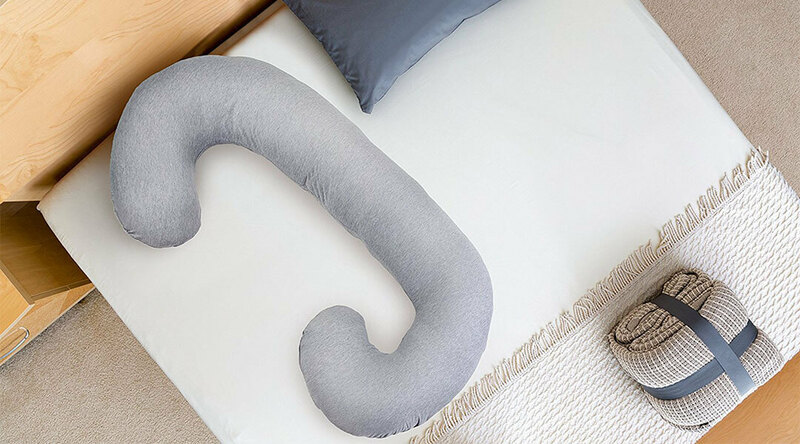 This multi-functional U-shaped full body pillow not only guarantees lumbar support but long hours of painless and deep slumber. The U-shape was developed primarily to address the common pregnancy concerns: support, elevation and discomfort, particularly sleep disorder. Expect total comfort from the neck down to the legs whether you are sleeping on your back or in a sideways position. Other brands of body pillow that were given the thumbs-up by satisfied customers are available if you want to expand your choices. The physical and mental stress that accompanies the whole nine months of pregnancy is a natural consequence. However, mothers in waiting can boot out the disturbances by buying the best pregnancy pillow. Any of the pillows in the Top 3 are excellent choices. All of them are multi-functional and can relieve the pain and aches commonly felt by the entire body when you are pregnant. More importantly, you get the recommended daily dose of sleep hours without the distractions. You will never regret taking one home. Expect nothing less than extreme comfort. If we have to take a pick, we will go with the Hiccapop pregnancy wedge. 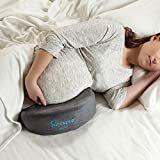 This pregnancy pillow not only have all the excellent features to provide the necessary support during pregnancy, but it also has one of the highest ratings compare to others. Not only that, but the net customer satisfaction grade is also excellent. Therefore, we think the Hiccapop pregnancy pillow wedge is the best pregnancy pillow to buy. Go ahead any give it a try and let us know what is your experience by commenting below.